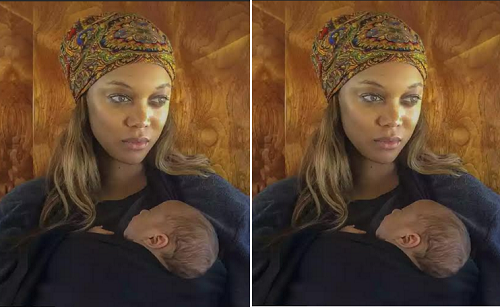 Tyra Banks' newborn is giving her sleepless nights. The America's Next Top Model host - who welcomed her first son, York via a surrogate in January has opened up about the struggles of being a mother, revealing she shares the night duties with her partner Erik Asla. 'Some mornings you wake up, and you're like, "Where am I?" I don't know what's going on. And I know it's not a good idea for me to drive right now because I did not sleep. So I balance that and his dad helps, and we go back and forth so that's good,' she said. 'Erik does about 40 percent diaper duty at night. So we're almost 50/50,' she said. She added to E! News: 'Well, I'm on maternity leave right now, just taking a break. I really now am empowering my team. I'm understanding delegation, understanding that I don't have to do everything to make something successful,' she noted.